The Streamlight TLR-4 is a compact LED/laser combo designed to fit compact and sub-compact handguns, but will fit full size handguns as well. 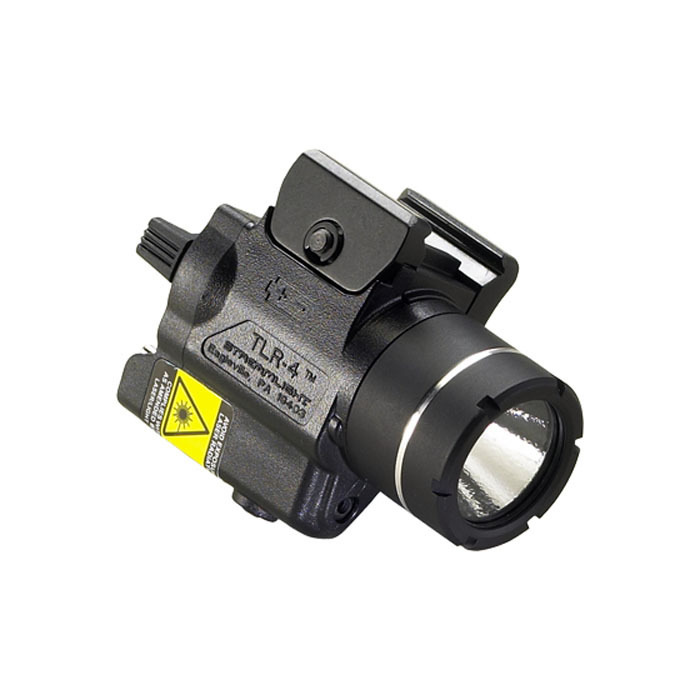 Constructed of impact resistant polymer, the TLR-4 features an ambidextrous momentary/steady On-Off switch and three position mode selector switch for Laser only, LED illumination only or both Laser and LED. 125 lumens - 1.5 hour run time.